Fitch Ratings affirms the 'A' rating on the Jacksonville Aviation Authority, FL's (JAA or the authority) outstanding $87.3 million of series 2003 and series 2006 airport revenue bonds for Jacksonville International Airport (JAX or the airport). Fitch notes the Authority also has approximately $81.2 million outstanding parity notes that are not rated by Fitch. The Rating Outlook remains Stable. Midsized O&D Enplanement Base with Some Volatility: Nearly all of the airport's 2.6 million enplanements consist of origination & destination (O&D) traffic. However, traffic declines experienced in the recession continued in fiscal 2012 (down 4.3%) after flat growth in fiscal 2011. Enplanements through the first six months of fiscal 2013 are down another 4.8% indicating that the weak economy is continuing to impact traffic. The Airport is served by a diverse group of carriers, with no one carrier representing more than 28% of the market. Strong Cost Recovery Framework: Beginning in fiscal 2013, JAX operates under a residual use and lease agreement. Under the agreement, the airport plans to maintain a competitive CPE of $6.75 through fiscal 2017, including the mandatory annual transfer to the airlines of $11.28 million. Some Variable Rate Debt with Refinance Risk: JAX's annual debt service requirements remain relatively flat at $18.1 million until 2023 when the bullet payment on the privately placed Series 2012 Notes is due posing refinance risk to the Authority. Over 80% of the outstanding debt is fixed rate with the remaining variable rate component ($37 million bank note not rated by Fitch) synthetically fixed through an interest rate swap with Compass Bank (rated 'BBB'/Negative Outlook by Fitch). Manageable Leverage and Adequate Liquidity: The airport's current leverage is reasonable given its cash-flow generation profile and there are no plans for additional debt in the near term. JWA's debt per enplanement of $67.80 and net debt-to-cash flow available for debt service (CFADS) of 3.75 times (x) are consistent with the current rating level. Debt service coverage has remained relatively stable at 1.61x or greater and is projected to remain at similar levels for the next few years. 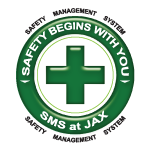 JAX's solid balance sheet liquidity, including unrestricted cash and investments equating to 399 days cash on hand (as of September 2012), provide additional financial flexibility. Modest Capital Program: Through fiscal 2018, the airport is expected to have a manageable capital program that totals $137 million, with nearly half of the funding coming from general airport funds. Fitch notes that the increased reliance on airport funds and decreased reliance on passenger facility charge (PFC) revenues could impact the airport's financial flexibility or ability to complete projects should performance fall short of expectations. --Declines in enplanement levels greater than currently anticipated could pressure the rating. --Inability to maintain positive nonairline revenue growth or management's inability to cut expenses leading to an increased rate in the airline cost profile could negatively affect the rating level. -- Additional leverage resulting in materially higher debt metrics or significantly lower coverage levels. All airport revenue bonds are secured by a parity senior lien on the authority's net operating revenues as well as transfers from the surplus fund and certain available PFC revenues deposited into the operating revenue fund. The authority has covenanted to transfer all available PFC revenues from the PFC fund into the operating revenue fund no later than the 25th day of each month but is limited to no greater than 1.25x of the PFC-eligible debt service. The PFC fund is currently pledged for payment on a portion of principal and interest on the series 2006 bonds. Holders of the other debt obligations do not have a claim on deposits in the PFC fund. JAX's traffic has historically been volatile, down a combined 12.8% through the recession in fiscal 2008 through fiscal 2010, and although it remained flat in fiscal 2011, traffic declined an additional 4.3% in fiscal 2012 to 2.7 million. Further, with enplanements down again fiscal year-to-date (4.8% decline for the six months ended March), it is uncertain whether enplanements have yet to bottom out. Nevertheless, the airport's importance to the north-eastern Florida region, coupled with Jacksonville's long-term growth prospects and limited competition from neighbouring airports, provides support for travel demand into the future. 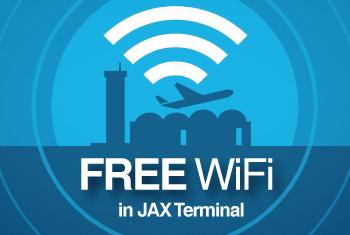 Additionally, the diverse set of carriers serving JAX provides a relatively stable base of air service without having to rely on the scheduling decisions of the tenant carriers. Southwest and Delta continue to be the largest carriers serving JAX, with market shares of 27.1% and 24.2% in fiscal 2012, respectively. The airport effectively utilizes certain non-operating revenues, including PFC receipts, to subsidize debt service obligations. The airport's coverage level of total debt service in fiscal 2012 was 1.61x per the indenture calculation and is expected to rise to 1.98x in fiscal 2013. Fitch notes, however, that PFC revenue transfers currently account for nearly 50% of debt service obligations. The airport signed a new airline use agreement that began Oct. 1, 2012. The new agreement is residual, which helps to mitigate the risk of increased expenses. Under the previous agreement, the 2012 CPE was $6.86. Management currently plans to keep CPE at $6.75 over the next few years. However, the agreement includes a guaranteed fixed annual transfer of $11.3 million to all airlines that maintain a 6 month balance in the O&M surplus fund. Fitch believes that while this does provide some protection to liquidity, it also provides another liability for the airport that could impact the rates and charges charged to the airlines. As a result, credit pressures may develop should enplanements and non-airline revenues fall short of expectations and JAX's financial flexibility could be limited. This risk is partially mitigated by the Authority's solid balance sheet with unrestricted cash and investments equating to over a year's worth of liquidity. Less than half of the airport's total operating revenues are derived from the airlines, while parking and concession revenues, which have remained relatively stable through the downturn, each contribute approximately 25%. Overall, operating revenues have decreased at a five-year CAGR of 1.1%, despite an enplanement CAGR of -3.4% over that same period. Management expects total operating revenues to increase by about 8.9% in fiscal 2013 due to the new airline use and lease agreement and additional tenant lease income. Operating expenses grew by 2.6% in fiscal 2012 and have grown at a CAGR of 2.9% since 2007 while revenues have declined. Management expects one more year of elevated expense growth (4.8%), before levelling off in the 3% range. Growth in expenses for both fiscal 2012 and fiscal 2013 is associated with increased employee benefits, salaries, and business training expenses. In fiscal 2012, the airport issued $48.5 million Series 2012 senior unsecured notes. The notes were used to refund a portion of the Series 2006 Revenue Bonds at a fixed rate with a bullet payment of $37 million in fiscal 2023. Although the revenue bonds currently rated by Fitch are fixed rate, the airport also has a $32.7 million outstanding Compass note that is variable rate (19% of total debt) and synthetically fixed through a swap with Compass Bank with Compass Bank (Fitch Rated 'BBB'/Stable). JAA's capital program through fiscal 2016 is relatively modest, totalling $137.1 million. The program is focused on routine maintenance and hanger improvements and is expected to be funded by airport funds (36%), grants (28%), PFCs (8%), and other sources (28%), including tenant contributions for the construction of new hangar space.